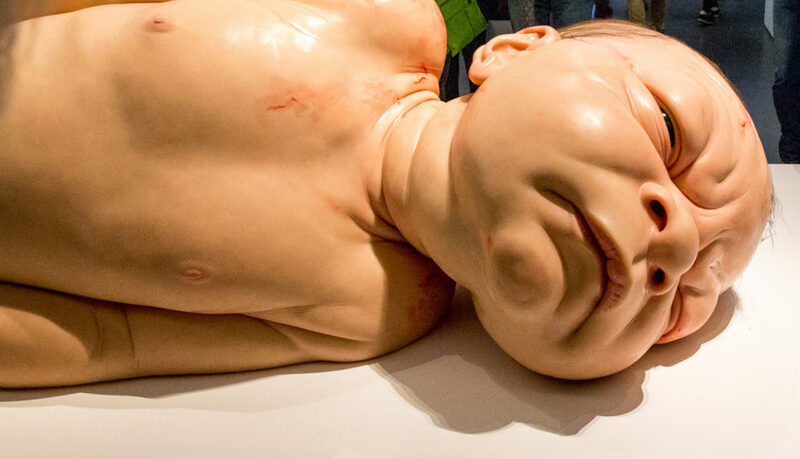 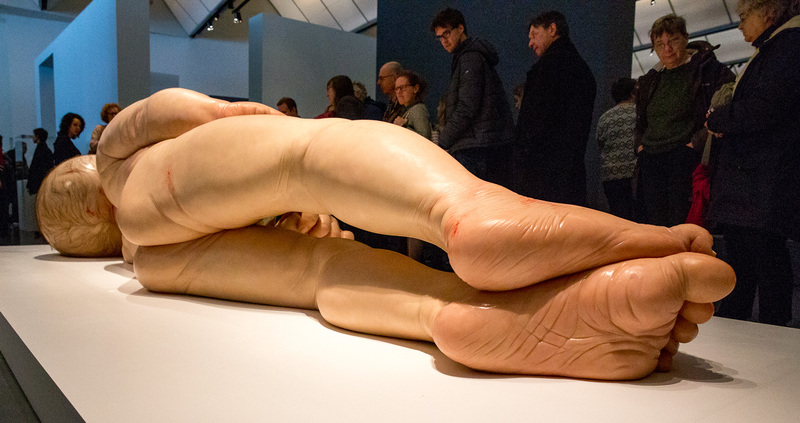 Ron Mueck – It’s a Girl! 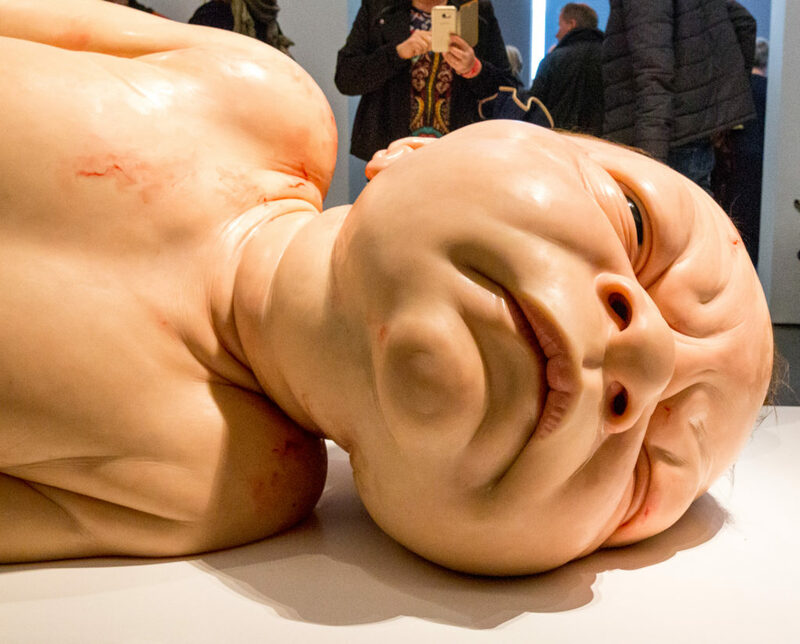 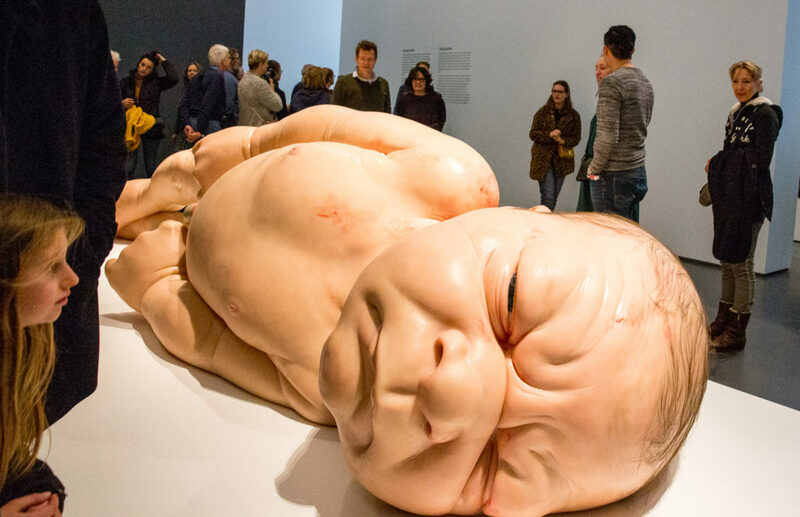 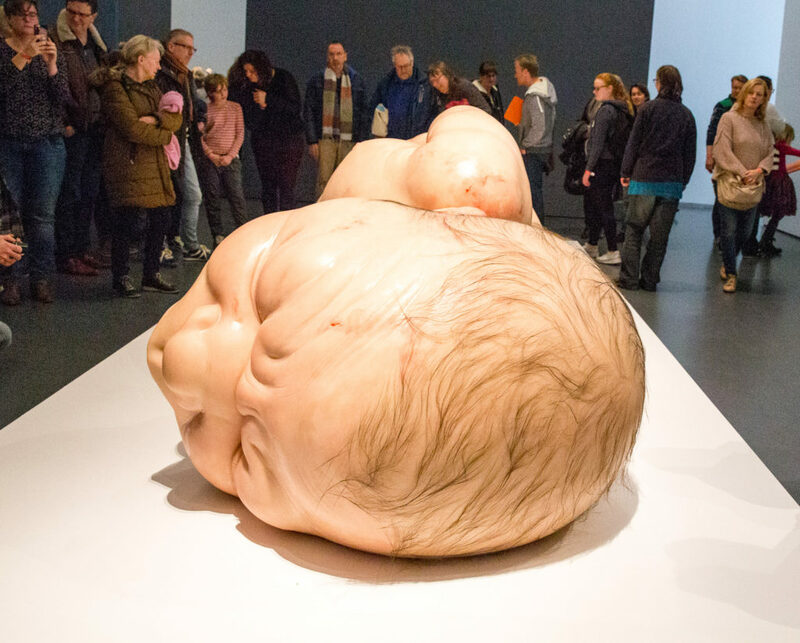 March 18, 2018 was the first weekend after the opening of the exhibition Reshaped Reality – 50 years of Hyperrealistic Sculpture in the Kunsthal in Rotterdam, Netherlands. 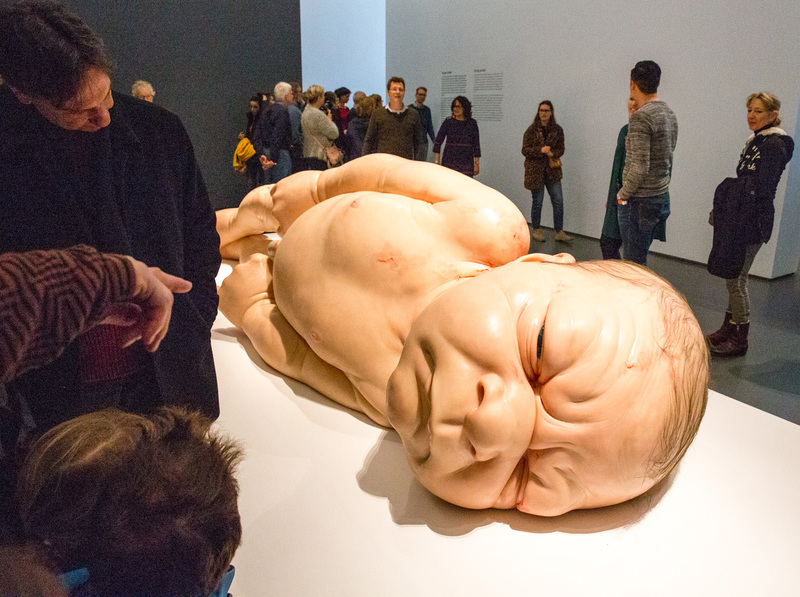 It was very busy, but the number of people surrounding the 5 m tall just born Child statue by Ron Mueck add to the alienation that one feels looking at the baby in this context. Look for yourself and click the photo’s for larger format.